To read the RCC Perspectives issue “Beyond Doom and Gloom. An Exploration through Letters” please click on the image and the issue will open in a new tab. Cover of the RCC Perspectives issue: Kelsey, Elin (ed. 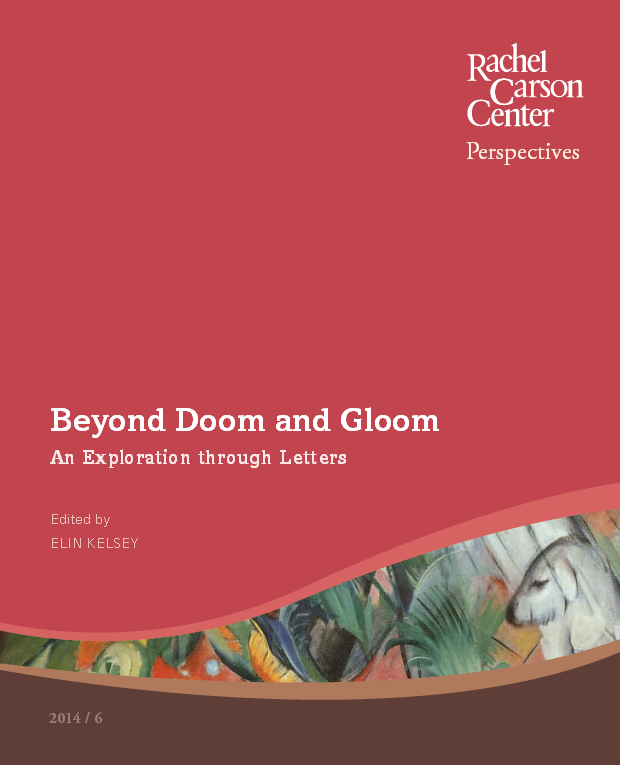 ), “Beyond Doom and Gloom: An Exploration through Letters,” RCC Perspectives 2014, no. 6. Design by Stefan Zinsbacher. Cover photo courtesy of Wikipedia Commons. Copyright by the Rachel Carson Center.